I’m finding that I’m spending more time reading other people’s blogs than writing my own at the moment but I will get some things done tonight after work I hope. In the meantime I’m going to cheat a bit. I’ve decided that I’ll simply post a song on a Monday. These may be a piece of music that has meant something to me in the past, or simply something I enjoy listening to, or perhaps a reflection of my mood at the time. I think though that music does have the capacity to reveal something about the listener. Enjoy! Take me up on the challenge and post some of your own. Having been scanning photos for the past week has lead to a trigger of memories where you can recall the actual time, place and circumstances surrounding the capturing of that particular moment in time and it got me thinking about other things that trigger memory such as smell and music. So I thought I’d write a little about some of the music that means something to me. Elvis Presley – I remember arguing with some other kids at Primary School about who was better Elvis or The Beatles and I argued strongly for the former. I grew up watching Elvis movies and the first records I ever bought were his – Edge of Reality, Suspicious Minds, In the Ghetto and Don’t Cry Daddy. I knew them word for word and some might say that the famous Joyce snarl that appears occasionally on my face may have had it’s genesis some time during those Saturday afternoon matinees at the Padua Theatre in Brunswick. 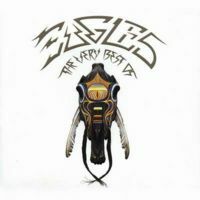 The Eagles – around Form 2 we had an American exchange teacher at Burwood High School and he brought with him The Eagles album Desperado. We must have had a rainy day one day and stayed in the class room over lunch time listening to the sublime harmonies and ballads of these blokes on a concept album of all things. Something at that time that I’d never heard of before. I have remained a fan ever since. I remember when the album “One of These Nights” was released that there was a special on the radio which I taped. At that time my mate Fog and I were working over Christmas at a wire factory and we played it over and over again. James Taylor – Fire and Rain, Carolina on my mind, Sweet Baby James and others were favourites. I had a group of friends and we called ourselves The Diggers. We were mainly mates from High School plus a few who we met through our university studies. Not a lot in the way of disposable income so we spent a lot of time sitting around houses playing guitars and harmonicas singing lots of James Taylor and Bob Dylan songs. Little River Band – Harmonies every bit as good as those of the Eagles and for a while The Diggers mucked around with a band playing LRB songs. We called ourselves The Sentimental Blokes and were legends in our own loungerooms. We never had any intention of performing anywhere it was just a way of having fun and a lot of laughs. At least three of those guys have passed away now but whenever I hear those songs I’m transported back to a simpler time and place and the boisterousness of youth, with the voices of mates still ringing loudly in my ears.